To guide or not to guide seems to be the question doing the rounds among analysts tracking the Bangalore-based information technology services provider, Infosys. Infosys has discontinued its practice of providing quarterly revenue guidance from the start of financial year 2013. As the company prepares to announce its fourth quarter and annual results for FY13, analysts are wondering if the current macro-volatility will make the firm rethink on providing annual revenue guidance as well. Infosys discontinued the practice of providing dollar revenue guidance from the first quarter ended June 30, 2012. “Our stance on the company does not fundamentally change should Infosys break with its tradition of guidance. It might create a one-time stock impact due to a section of the market disapproving of this, but investors/Infosys can move on thereafter. Infosys deserves the benefit of doubt on one score - if it could retain guidance in more difficult times, suspending it now in a decidedly-better environment should not raise questions on Infosys’s motives or raise suspicions on its confidence in its growth prospects for the coming year,” said Viju George and Amit Sharma of J P Morgan Asia Pacific Equity Research in their report. The report also mentions that the move may perhaps not go to well with investors in the West. In India, though the analysts remain divided on what Infosys should do, several leading brokerage and equity research analysts that Business Standard spoke to said that in the near-term, such an action will be negative for the stock. When asked whether it intends to permanently discontinue giving quarterly guidance and whether it also plans to rethink on providing an annual guidance, the company declined to comment. A look at the stock performance shows that although there is initial pain, in the long-run, it is the business performance that counts. However, since then, the firms stock has moved up by almost 27 per cent. This also includes the spike the stock saw as the company maintained its annual revenue guidance for FY13. “Infosys has always spoken about predictability. By not giving an annual guidance, that will go away. Besides peers like Cognizant (provides annual and quarterly guidance) and Wipro (provides quarterly guidance) will continue to do so. Moreover, if at this time around they tell the market that they will not give guidance, it may not go too well. Simply because some will think that the company is doing so as they feel that they are not able to even meet Nasscom’s guidance,” said an analyst from an international brokerage and equity research on condition of anonymity. 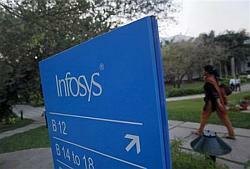 Analysts, however, also pointed out that Infosys is not the only one to operate in such a volatile macro-environment. If players such as IBM, Accenture and others can provide guidance, Infosys cannot be an exception. Besides, even though players such as Tata Consultancy Services (TCS) and HCL Technologies, they have provided for indicative growth parameters. “I do not think Infosys will ever stop giving annual guidance,” said another senior executive of a leading brokerage firm. In the recent past, there have been firms such as GE (gives annual guidance, discontinued earnings per share guidance) and Union Pacific (stopped giving guidance) in the US have discontinued providing guidance, but the stock performance has not been impacted much. Infosys was among the first Indian firms to start the practice of providing revenue guidance to the Street, even when it was not mandated by law. This was done with an intention to bring transparency. Over the years, analysts have used its guidance to manage expectations and to gauge the demand environment. For a long time, the company has followed a strategy of under-promise and over-deliver. The company discontinued providing quarterly guidance due to a volatile business environment.